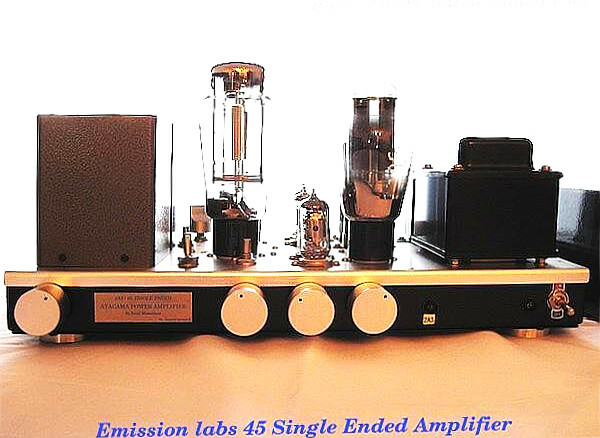 2A3 Single Ended Amplifier. 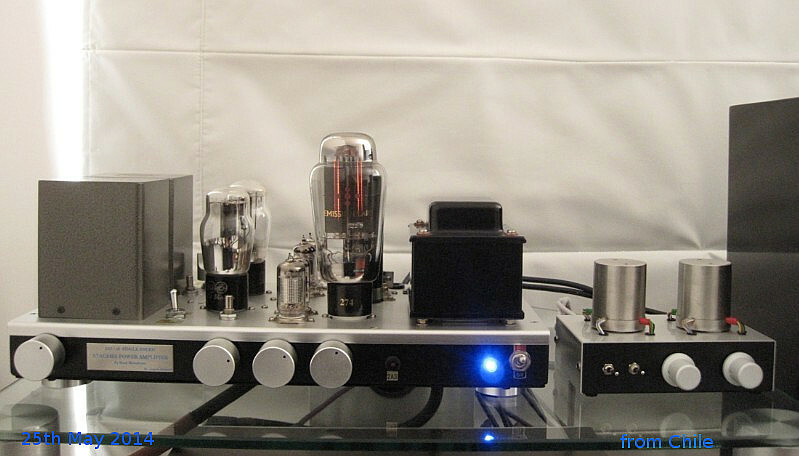 3 stages amplifier with SRPP Drive. 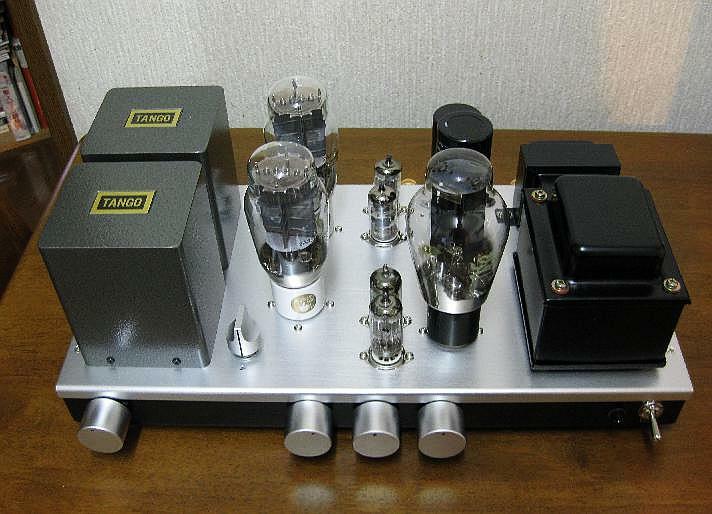 input line are RCA of 2 line and one of Balanced input(Tamura TK-20). 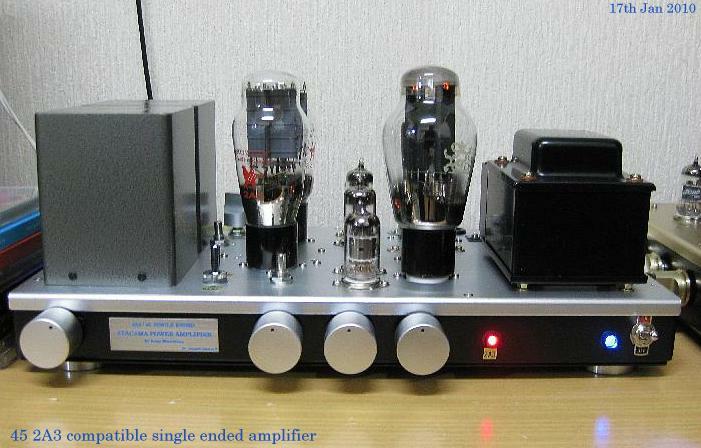 Amplifier can be use both RCA 45 and 2A3. 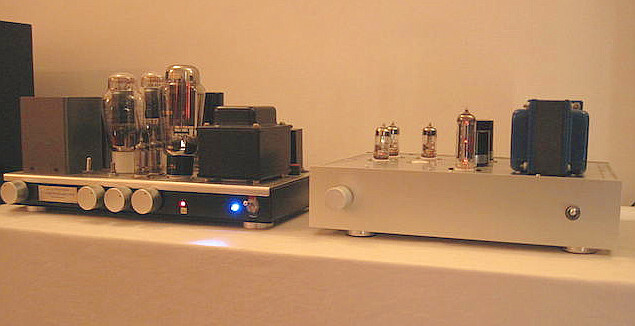 Audio Transformer are ISO Tango XE20S. 45 V for 2A3.plate current are 60mA each valve when use 2A3 Golden Dragon. original power as 1.5W rms but feel like more than 2A3 single ended mode power. RCA 45 are using 1936 USA Made but used.still getting good sound from him. very good boy!!!. 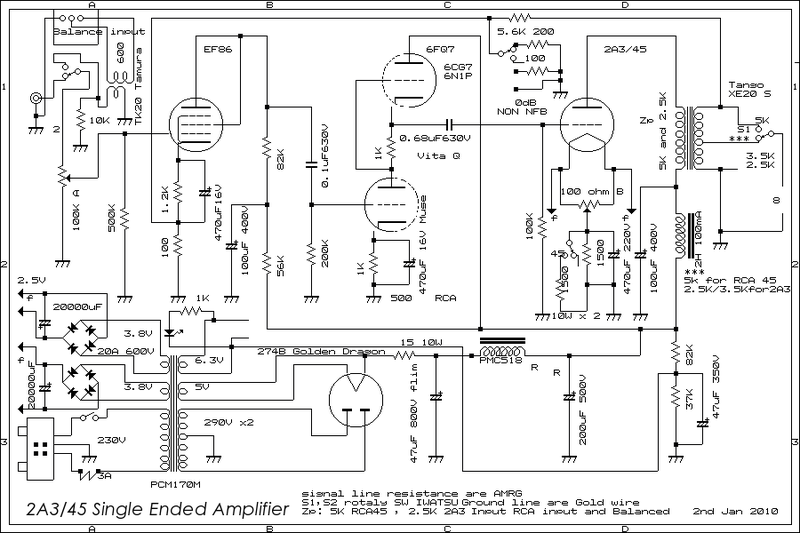 noise is around 0.8mV at non NFB position. recommended use 2A3C or 2A3B china(Golden Dragon Premium) and EH 2A3. and any old 45 valves. 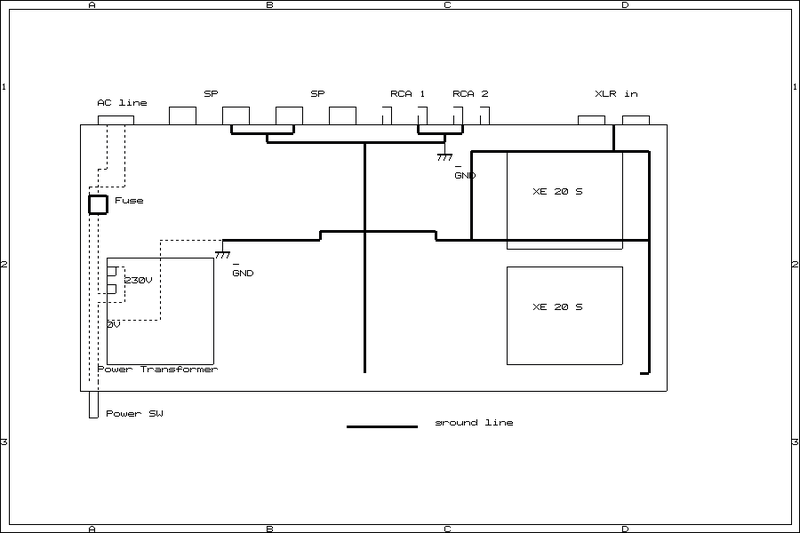 and any 2A3 made up good sound.+B of plate of 2A3 is 320V getting good sound. 2A3C sound is just like sound of RCA 45 and feel like much power than any 2A3. 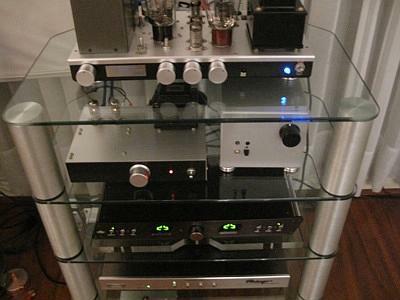 very close sound of Sovtek 2A3(old).2A3C is very nice to hear any kind of Music. very clear and good bass.2A3B(premium Golden Dragon) are good bass and clear. one thing old chinese 2A3 are very cheap but grid wire are using gold wire. few hour use from brand new valve.but sound is nothing problem. 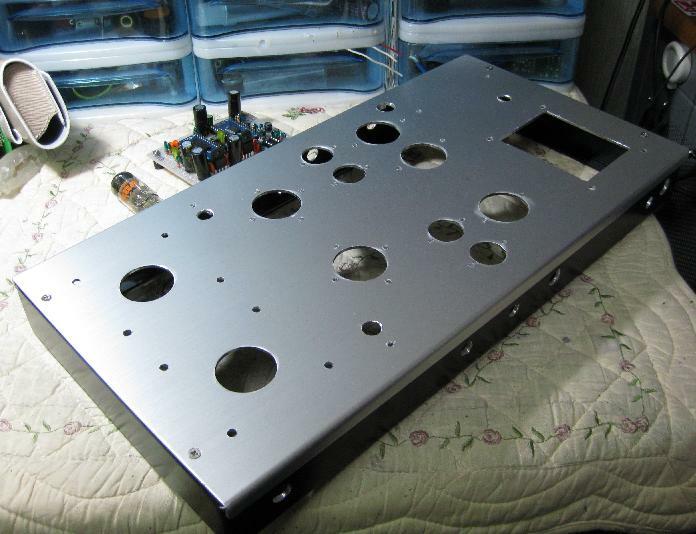 sound than high voltage of Plate.sound quality is depend on Audio Transformer. noise when cold started play music.still unstable product from China. 2A3C Sound is Best but have big risk. 2A3 JJ is not 2A3 .suppose be KR family too. 3/4W AMRG non inductive carbon resistance.4 of cathode resistance are 10W Dale. 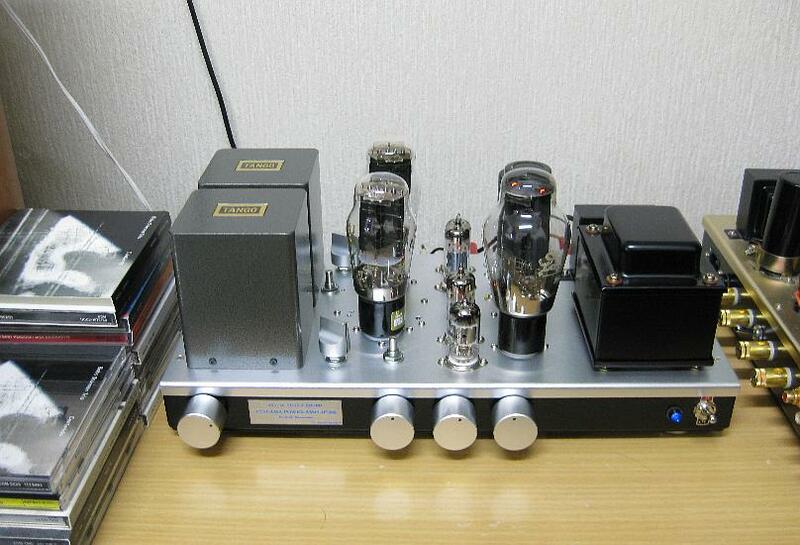 condensor are Nichikon,Shizuki and TO-ICHI.coupling capacitor are TO-ICHI Vitamin Q.
here on WEB. 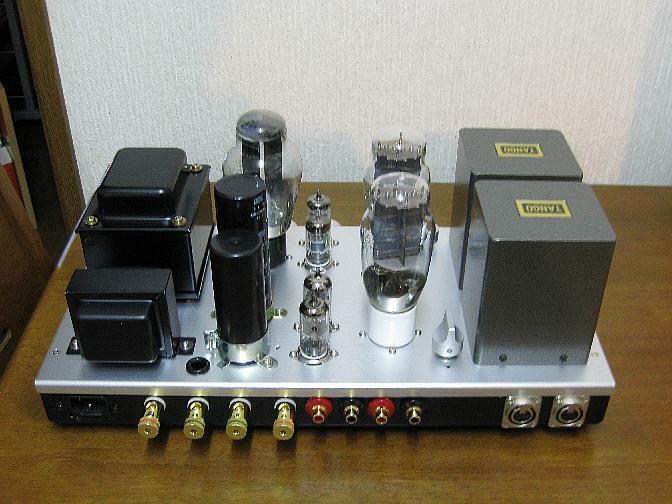 Chinese Valve Amplifier does not made up good frequecny response. for my hobby. 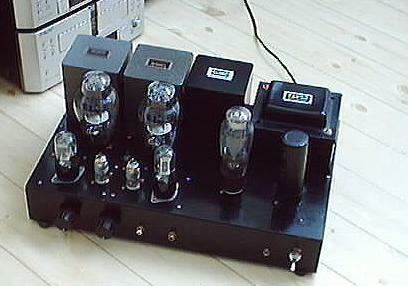 Power is 4 W rms( one side clip). DF is 2.5 and Max power is 5.5W rms. and frequency response is 5Hz to 100Khz at -1dB -3dB over all NFB.0.5mV noise. and Get 5W rms of Power. 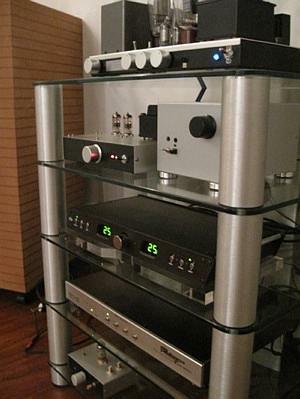 sound is very good.one thing better than 300B SE. I never use Metal Clad resistance and Cement resistace. both are bad for rush current. as resistance so not so good for valve amplfier. 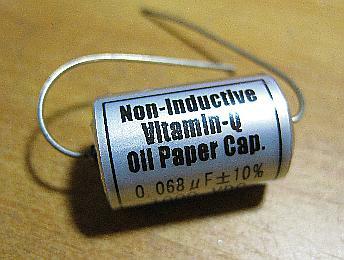 I am using Dale non inductive resistance for Cathode resistance. 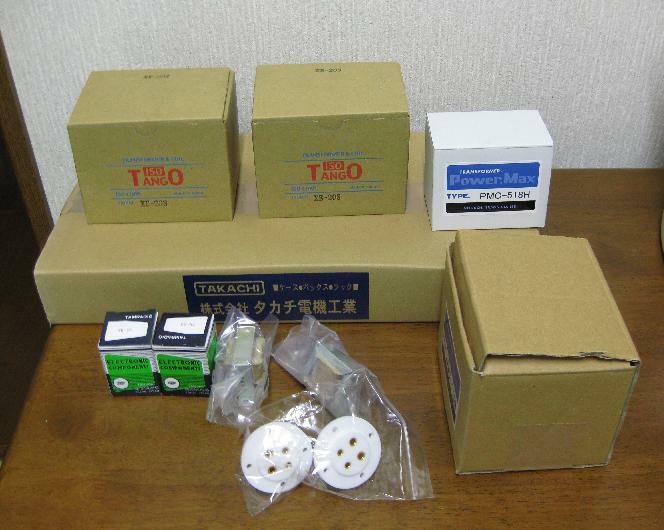 power resistance are Kiwame Carbon and signal passing parts are using AMRG resistance. Vita Q Toichidenki Japansame thing I said above. coupling and 2nd stage with final.0.22uF630V ERO film and 0.47uF630V Vita Q in parallel. 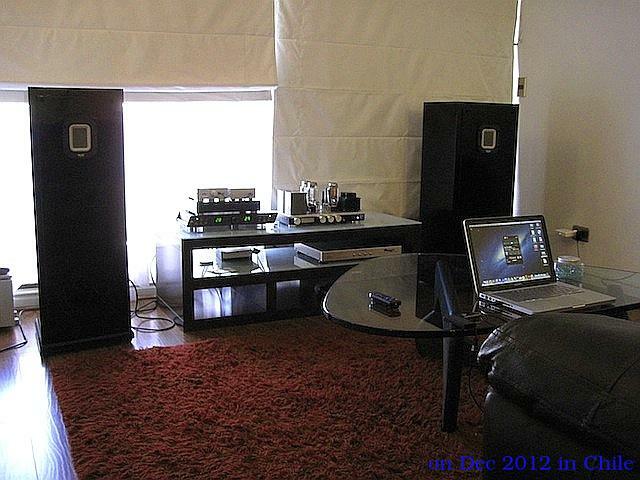 and he has Altec high effiency speaker system. 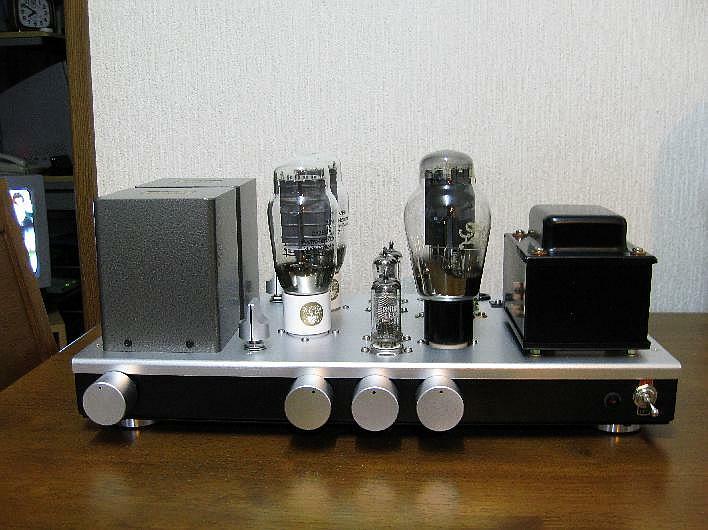 he said super good tone has this amplifier which is connected with Audio Aero Capitole CDP with Balanced output.